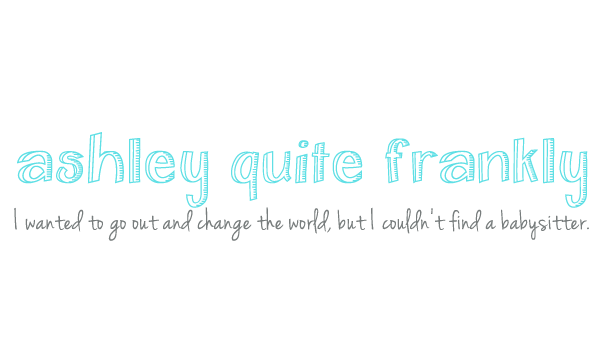 Ashley Quite Frankly: Continuous Progress Education? "Another unique feature of our school is the organizational structure and the instructional programs we provide. All teachers team teach and work collaboratively with colleagues to meet the individual needs of all students. Students work with teams of teachers in non-grade specific multiage classrooms following an instructional approach called Continuous Progress. Students are grouped in mixed age and mixed ability (K-1, 2-3, or 4-5) classrooms and remain with their team of teachers for approximately two years. Students stay together and move on to the next team of teachers within their continuous progress “house” for the remainder of their time at the school. We believe that every child progresses at their individual rate of development and that the continuous progress model allows all children to progress and learn in ways that support individual development. The opportunity for children to build meaningful relationships with teacher over time promotes higher levels of learning and a strong self-concept both of which are important to success in school and life." In theory it sounds great, but does anyone have any real life experience with this? Although I'm not thrilled with the current way of doing things, new stuff sounds scary too. This sounds similar to Montessori- style learning (less structure-for-the-sake-of-structure) combined with "looping" in some of our public schools. Looping allows students and teachers two years together which is awesome for really knowing teaching/learning styles, not so awesome for the rarer cases of "OMG I cannot stand that child/teacher! ", kwim? That said, I'm not an educator and have no experience with the style. My big kids are in public school with a fairly tradtional format. The school we moved from (same city system) started looping for 2-3 and 4-5 the year after we left. According to middle son's Kindy teacher who moved to 2-3 it's a success and she luuurves it. Then again, she was a fab teacher anyway with an oversized capacity for optimism. It's not my favorite way of teaching, but a lot of people favor it. Sounds nice that the kids are put with their pace and not just with their grade. Just from what you've said about your big guy he sounds way advanced for his age. I'm sure he will benefit from it! My kid's school will put kids up a grade for different subjects if they are way advanced but that's about it. i was in a class setting like this back when i was in grade school. i loved it because i did not get bored with school. i was considered an accelerated learner (that has passed...). nothing but fond memories of those classes. My experience is a bit different, given that the school I work at is entirely special ed, but we do things similar. They don't have the kids in grade level, we group them by skills and age level plays a bit of a role. We wouldn't want a kid whose 13 in a class full of 10 year olds or anything like that! We don't necessarily have the kids 2 consecutive years in a row, but it's possible and happens quite a bit. I think it's a good way of doing things, because you can individualize, and the kids feel better about themselves because they're in a class with kids at their own level, and they don't feel "stupid." Again, this is special ed, and that's very different, but it sounds good in theory for your kid's school. My 3rd grader's public school does this. The classrooms are arranged in pods, so the 3rd and 4th graders are together and mix for different subjects. We love it, and have only good things to say about it. I would agree that it gives kids a sense of place and confidence at school because they know more teachers and students. I also agree that if the teacher/child don't match, two years can be a long time. That hasn't happened to us yet though. i grew up in socal, and we had this type of classroom structure when i was younger. i was also an advanced learner, and it was a terrific structure for me. i was able to advance at my own pace, and they also paired me up with some of the slower learning children to help them. in the school in our town, there are traditional classrooms and also "multi-age" classrooms, and the multi-age classes are the desired placements. they have younger teachers, more flexible learning structures, and more field trip opportunities. in exchange, the parents have to help out a bit more. i think it is all about each individual learner and what works best for them. I agree with Pjane, it does sound Montessori-esque. Many people I know rave about Montessori, though the most I know about it comes from reading about it. Maybe there would be a chance to talk to parents of kiddos in the school now for their input? BK might really do well or really hate it. It's worth a try, I suppose. Try to keep an open mind. It might be the best thing that ever happened to your kids. If it isn't, do you have the option to place your kids in another school? Sounds like a wonderful system. Trying to keep 25 kids on the same page in given classroom disadvantages so many, wastes time and leads to frustration and/or boredom which leads to more disruptions, which creates a poor learning environment for all. I would think Big Kid would thrive in this sort of environment. My sister is a teacher. When I shared the description with her, she echoed the comments about this style sharing similarities with Montessori. "A good point about it is that it allows teachers to really understand a student and know how he/she learns best. Also, allowing students to progress beyond 'grade level' if they meet their grade level standards is good. The only thing is that they need to make sure they have measurable goals for the kids for each grade level. Also, they should have an exit strategy to accommodate kids who did progress beyond grade level. What sort of enrichment/extension have they put in place to meet the needs of the kids once they're in a more traditional learning environment?" As a teacher, I think I would enjoy working in a school like this. One of my favorite parts of teaching is building relationships with students and seeing them develop and blossom and sharing in that with them. As a parent, if I had the opportunity to put my daughter in a program like that, I think I would. My oldest was in a K/1 class when he was in K. It was FABULOUS!! Both the boys teachers "loop" up with the classes now, so they have the same teacher for 2 years. Oh, and the kindergartners were higher ability students and the first graders were homogenous mix. I think it's going to be a great learning environment for Big Kid - yeah! I've decided to step out from anonymity. I'm just curious for those that have been in this environment. When you are in the 'higher level' in a group is it still challenging? I would worry that the teachers would teach to the lower level and then not challenge the higher level kids. When I was in HS I was in fourth year Spanish. There weren't enough students to make a full class and we agreed to be split with the level down from us so we could continue. It was a little frustrating on both ends because the teacher would teach things to the lower level students that we'd already learned and we got bored. But then if he tried to teach to the upper level students everyone else was lost because we were ahead a year. I'm just curious what people have to say. We went into that class blind, though, and I'm sure that the kinks are all worked out for BK. BTW - LOVE YOUR BLOG!!! I'm a former teacher who "looped" a third to fourth grade class one year. While they weren't multi-grade, and it wasn't team teaching per se, it was still very similar to what you described. I was a teacher in an inner-city "bad" neighborhood school and I loved the experience. Like others said, it helped me to see learning styles and really develop a bond with my students. I think the students really loved it too. Many of those students are now adults and my "friends" on facebook, they found me or I found them all these years later. I've been mentoring one since he was in my 3rd grade class and he's 23 now! For me, from the teacher's point of view, I can say it was a good experience. BK sounds like he'll do great anywhere, he's definitely a smartie! From what you say about him, he'll probably thrive. As a teacher I can see where that would be an ideal situation...all kids on the same grade level-that lends itself to great teaching and learning experiences. However, I'm sure there are some cons as there are to all approaches to education. As a kindergarten teacher, I like this idea. Team teaching is awesome because teachers have different teaching styles the same way kids have different learning styles (i.e. students may learn better from one teacher than another). So if they're exposed to different teachers, it's likely that more learning is taking place. I also like the grouping because age plays such a big factor in their development. My kindergartners that turn 6 in the fall/winter are usually more advanced than those who don't turn 6 until spring/summer. I think it's great that the more advanced kindergartners could be grouped with younger 1st graders, etc. So.. you're right.. in theory, this sounds great. Keep us posted on Big Kid's progress with it. It sounds perfect for BK - I've been telling you he needs Montessori, and it's b/c of the individualized learning. When they master one thing, they move on to the next without having to wait for those that need extra time, but those that need it get the one on one to master things a little faster. My preK child is doing typical 1st grade work (independent reading, addition with "exchanging" and subtraction), and my 2nd grader is worlds beyond his 3rd grade cousin, having mastered multi-digit multiplication and simple division. Children do not all learn at the same pace or the same way, and it's absurd to attempt to teach them that way. Some get bored, and some get behind, and it's not fair to either group. To answer a previous commenter - they are challenged at every age b/c they aren't sitting listening to the teacher all day, they are doing their own work. Also, the older students help teach the younger ones by showing them things that they have already mastered. In our district they call it "the family class", and you have a choice to request it for your child. I did it because my child craves structure and I thought it would be good for her to be with the same kids for 2-3 years. This is year 2 and it's great. She is an advanced reader so is in a group that does oral reports and other advanced things. Also, they mix in with the 3rd graders to do projects and present their reports/projects to other classes, including the first grade in their "family". I think it's great. The only problem I can foresee would be when he is in 5th grade and has already mastered everything the school has to offer him.